If you think you may be pregnant, or you are hoping to become pregnant soon, there is no need to wait for that first missed period to find out. Although you may not yet show external physical signs, you may be experiencing 1st week pregnancy symptoms. Keep in mind; it is impossible to know for sure whether you’re pregnant without taking a pregnancy test. There are a number of early pregnancy signs and symptoms that can help you to make the decision to take a pregnancy test. 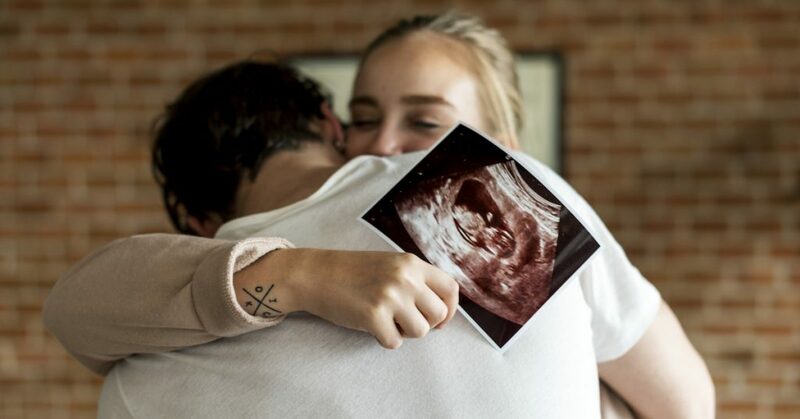 By getting tested, you’ll know for certain if you’re experiencing symptoms related to the first stages of pregnancy, and if appropriate, you can start prenatal care immediately. In fact, if you are planning to become pregnant you should consider taking prenatal vitamins or even a good multivitamin as soon as possible to ensure you have the best nutritional status prior to conception. One of the first signs of pregnancy is often breast soreness or tenderness. Although swelling and discomfort can just as easily mean you’re about to start your period, these symptoms sometimes indicate hormonal changes associated with early pregnancy. For this reason, they also belong in the category of pregnancy symptoms week 1. Thankfully, if your breast sensitivity does turn out to be pregnancy related, the condition should subside within a few weeks, once your body adjusts to the first stage of pregnancy. A missed period is often one of the first early pregnancy signs. If you typically experience regular menstrual cycles and it has been more than one week past the date of your expected period, you might want to consider getting a pregnancy test. Cramping and light spotting may also indicate a pregnancy. Light spotting occurs when a fertilized egg attaches to the uterine wall—usually about 10 to 14 days after conception, or around the time your normal menstrual cycle would occur. Some women, however, never experience this symptom at all. In much the same way you notice bloating just before the onset of your period, you may also experience it during the early stages of pregnancy. This is most likely due to the hormonal changes taking place within your body. If you’ve recently noticed a need to urinate more frequently, you may be experiencing one of the first signs of pregnancy. Pregnancy increases the amount of blood in your body, causing excess fluid to build up in your bladder. As a result, you may find yourself heading to the restroom more often than usual. Although nausea and vomiting are most often associated with morning sickness in the second trimester, they can occur at any time. Moreover, while these two common early pregnancy symptoms typically begin about one month into pregnancy, they can occur sooner for some women or not at all for others. Although food cravings are often associated with pregnancy, the reverse can also hold true. An aversion to certain foods may be one of the first signs that you’re pregnant. This is probably due to pregnancy hormones that change your sense of taste, making you more sensitive to some foods and odors. 1st week pregnancy symptoms often develop as a result hormonal changes. These same hormones cause a slowing down of the digestive system, making constipation one of the first signs of pregnancy. If you have been feeling unusually tired and rundown lately, pregnancy may be to blame. Soaring progesterone levels associated with the first stages of pregnancy symptoms may be contributing to your fatigue. Nasal congestion is another common side effect of some of the pregnancy hormones. This happens when increased hormone levels and blood production in the body cause nasal passages to swell or dry out. The result is usually either a runny or stuffy nose. If you’re experiencing more ups and downs in your mood than usual or feeling overly emotional and weepy, these swings may be due to the rush of hormones associated with the first signs of pregnancy. Ready to Find Out for Sure? Most early pregnancy symptoms can be attributed to a variety of causes. Some of the symptoms listed above could also mean you’re becoming ill or simply indicate that you’re getting ready to start your monthly period. Still, if you’re a woman of child-bearing age and you experience a collection of several of the symptoms listed above, consider getting an early pregnancy test. If you are ready to stop searching for “pregnancy symptoms week 1”, visit your nearest FastMed clinic for pregnancy testing onsite and a wide range of women’s health care needs. This way, if the results are positive, you’ll be able to start prenatal care immediately—feeling confident that you’re doing everything possible to ensure a healthy baby.